Why Are You Scaring Us? Question from Facebook: Why do you keep scaring us in your posts all the time? You keep saying that humanity is like a little rabbit hiding and shaking under a bush. Answer: Of course! This is what I see people behaving like! On the one hand, they try to harm each other, and on the other, they are afraid to be treated in the same manner. This is how our whole life is managed. If we don’t change, of course it will be bad! My intentions are very good, but what can I do if people think that I am just saying that? It is just like parents who want to protect a child from trouble, but cannot avoid what will happen! I will try to be gentler. Question from Facebook: You claim that the development of society is the development of egoism in it. Why isn’t it the development of altruism? Could it be that we should begin to promote cooperation between us instead of promoting competition? Answer: I see how the world has been evolving for ages and that it is only as a result of egoism. Moreover, all scientists and researchers confirm it. The wisdom of Kabbalah says the same thing. We should not develop through egoism, that is, not in the desire to receive everything inside you and thinking only of yourself at any given moment: “What should I do so that I will feel good?” But we should change our paradigm, that is, we should think of: “What I should do so that others will feel good?” This is a significant shift, an internal revolution in a person, which he cannot do by himself. Question: How can I change myself if our nature is pure egoism? Answer: This is an internal paradox; we cannot exit the framework of our nature. We can fix it but only with the help of the upper force, the Creator. If the Creator illuminates His force on us and influences us like a magnet moving a piece of metal from a distance, we will be able to change ourselves and move in the opposite direction from our egoism. In order to do so, we need to convince the Creator to move us forward to a totally different attribute: from the property of receiving to the attribute of bestowal, not the attribute of egoism but the attribute of altruism, not the attribute of hatred but the attribute of love. Let’s try to do it. This is what the wisdom of Kabbalah teaches us! What Will Help The World Get Out Of Deadlock? Question: You have mentioned that the Creator does not exist and there is no one to bring pleasure to. I also heard from you that the Creator suffers more than we do; where does that fact come from? How does it turn out that He doesn’t suffer or that He suffers and doesn’t exist at the same time? Personally I would like the Creator to exist in my life, because if He does not exist and is not alive, the whole wisdom of Kabbalah would seem uninteresting and practically empty just like our beastly life. If there is no one except me, I would rather live in this illusion without reaching some upper world. Although I am only 24 and have found the wisdom of Kabbalah at the age of 18, I would like to focus myself on the Creator as on someone who exists and is alive and who feels me, because the other attainments don’t interest me. I am actually afraid to discover that the Creator does not exist. Does that mean that the wisdom of Kabbalah is not for me? At the moment, I don’t intend to study because there is no guarantee that the Creator actually exists and is alive, but if I heard that the Creator is alive and does exist from you (which is the most important thing for me), then I would study the wisdom of Kabbalah. Answer: Everything we say about the Creator is not His actual essence and does not say anything about Him, but only about what we can express in our sensations. Later, your feelings will change and you will be able to perceive the complexity of the world, and opposing views will not nullify each other, but will actually begin to complement each other. Then you will have no more questions. 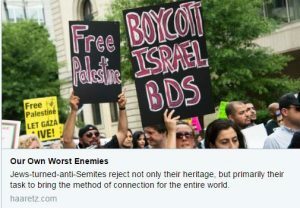 Jews-turned-anti-Semites reject not only their heritage, but primarily their task to bring the method of connection for the entire world. Is It Possible To Advance Without A Group? Question: With what should I begin the path of the soul, spiritual life? Answer: With virtual study or from ordinary study in our courses. Then as you advance in your studies, you will feel that you need a group. Question: Why are you so sure that it is impossible to advance without a group? I have met quite a few people who claim that they quite successfully practice Kabbalah without a group. Even Baal HaSulam doesn’t mention it in his writings. After all he never had a group. 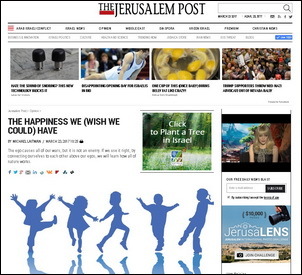 Answer: There are numerous articles about the need for a group, not by modern Kabbalists. Kabbalists have written very clearly about the importance of the group for ages. You simply don’t know the sources. Question: Rabash had one teacher, his father Baal HaSulam. What is the shortest way to the Creator: in a group where the optimal number of people is ten, or one-on-one with a wise teacher? His group included a few old men with whom he had studied with Baal HaSulam. This group did not suit me, so I began to collect young men and gave lectures to them. This is how a new group was created. It is impossible to study the wisdom of Kabbalah without a group. Without a group, you will not understand anything and will surely not achieve anything! Who Wrote The Book Of Zohar? Question from Facebook: Who was the author of The Book of Zohar, Rabbi Shimon or a group of authors, his ten companions? I don’t understand how it would be possible to write together. Answer: Rabbi Shimon could not have written this book alone because he had to first transmit this book through his students. First, they all discussed it among themselves, each one expressing his admiration for it and his impressions. They didn’t complement each other; instead they integrated and collected them into one single opinion by rising above themselves. As a result of this, the highest attainment came out, The Book of Zohar. By uniting among themselves, they were elevated to the next level where they apparently became a single author, a single person. Question: But in the sources it is said that Rabbi Shimon spoke and Rabbi Aba recorded…? Answer: It is necessary to understand what is meant by “recorded.” This is not talking about physical recording. Instead, they attained a state in which the white Light was written on a black background, meaning inside of them. This was a collective effort of a generalized person that included all of them, when all of them were one. Therefore, a power is hidden in The Book of Zohar. Moreover, specifically because of this fact, it is necessary to read it together and not alone. If we read The Book of Zohar individually, there is no benefit to it. To do this, we must gather ten people (a Minyan), connect into a single whole, and by reading the text together, to a particular degree, everyone begins to feel what the authors of The Book of Zohar felt. Question: Do you penetrate The Book of Zohar or does The Book of Zohar penetrate you? Answer: The Book of Zohar is the Light that surrounds us. Therefore, to the same degree that the readers connect together, they make it possible for the Light to enter into the shared integration between them and to format it. The feeling from the book comes from this. This is also said about the Torah, that it is “white letters written on a black background,” meaning, that it is the Light, which is written on the desires. The Torah, Deuteronomy 16:20: Justice, justice shall you pursue, that you may live and possess the land the Lord, your God, is giving you. It is written: “… that you may live and inherit the land…” since this is life. According to Kabbalah, corporeal existence is not considered life. Life is the manifestation of the qualities of the Creator in a person; otherwise, this person is called a dead body, meaning existing on the animalistic level, without a spiritual spark inside. The meaning of life is to reach the level of the Creator. That is why to pursue justice means to pursue the Creator. Torah, Deuteronomy 22:02-03: But if your brother is not near you, or if you do not know him, you shall bring it into your house, and it shall be with you until your brother seeks it out, whereupon you shall return it to him. So shall you do with his donkey, and so shall you do with his garment, and so shall you do with any lost article of your brother which he has lost and you have found. You shall not ignore [it]. “Your brother” and all his possessions, including animals, symbolize desires that need to be corrected. You can use his animals, only not to kill them: You can feed, milk, and work with them in the field but only until you are asked to return them back. The fact is that the desires developing in you sometimes cannot be corrected at your current level, and at a lower egoistic level you can do it precisely because you are using them temporarily. Imagine that you have to perform a certain task, but you are too lazy. However, when you see that it is not yours, you are thrilled, you have a desire, an opportunity to fulfill it, and you take it upon yourself namely because it is not yours and relates to another. It frees you from the pressure that you feel when you are obliged to do something.